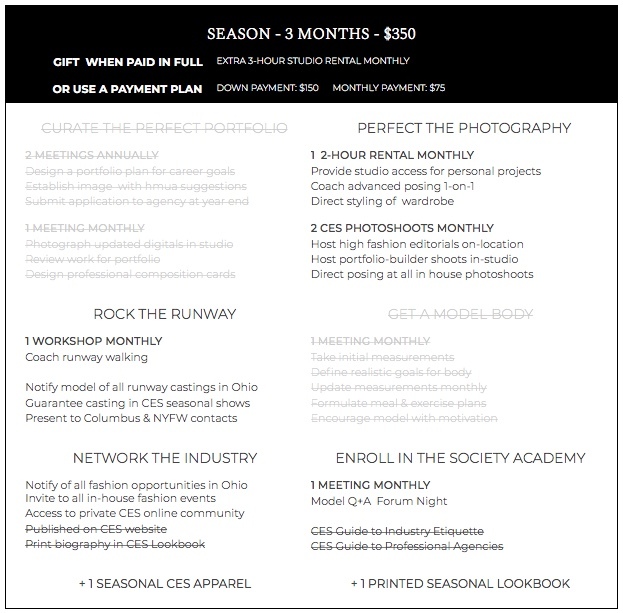 CES offers 4 unique all-inclusive contracts building in length of time and value. 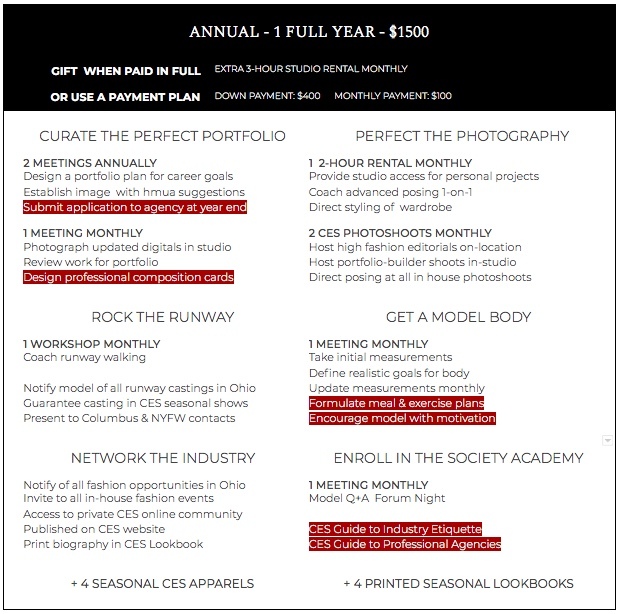 From the it-girl hobbyist to the international-bound model, there is a level of membership structured for your goals. With an all inclusive, VIP contract, we can commit to giving you everything we have to offer.